A 10 oz. 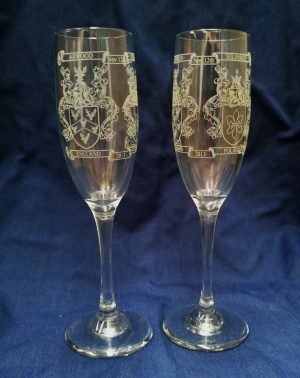 whiskey glass with customary heavy bottom. 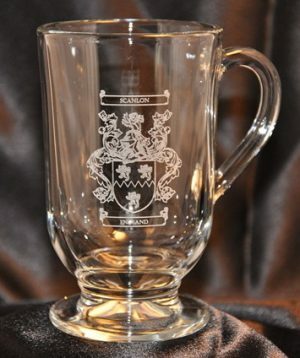 The glass features the authentic Coat of Arms for the name. 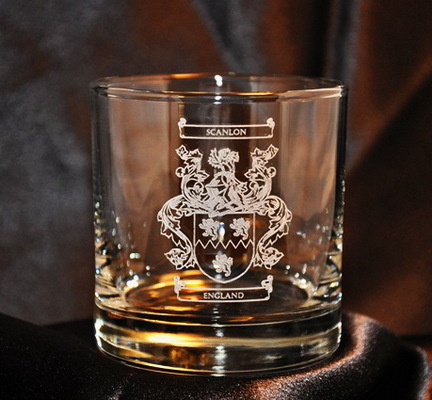 Also available as a set of 4 with whiskey decanter (on our website). Free shipping. Allow 6 to 8 weeks for delivery.